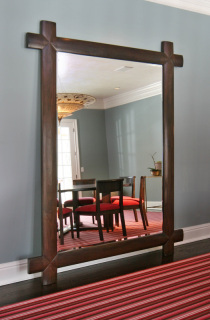 This stunning Black Walnut mirror has halflap corner joints and hand carved corners. It has 1" beveled glass and hand planed rounded arch molding. A perfect companion for our Burr Farm Table and Chairs. Finished with Ebony Stain and Tung oil. Because of it's size, we attach it to the walls, but it can be customized to fit your needs. 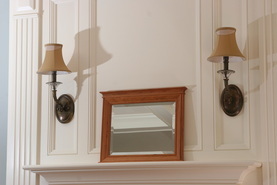 Our Barclay Mirror is shown here in Vermont Cherry, but is also available in Mahogany or Black Walnut. 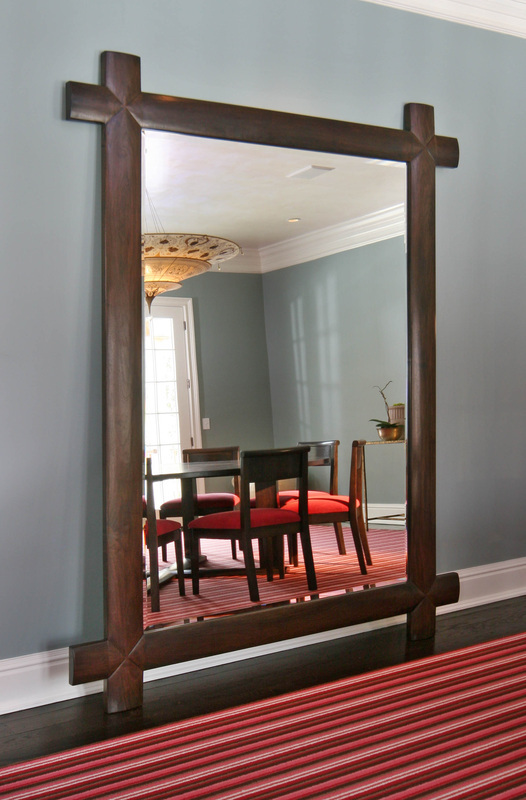 Made from solid harwood, this beautiful mirror is finished with hand rubbed Tung oil. With a 1" beveled glass, it also has a 1" cove molding on top splined corners as well as a 1/2" bullnose bead on the bottom and 1 1/2" molding with a 3/8" bead on sides. Our Sushi Board is perfect as a lovely cheese and cracker serving board, sushi board, serving platter or just working hard in the kitchen. This board makes the perfect hostess gift, housewarming, bridal, birthday or holiday gift. Made from Black Walnut and Vermont Maple accents, this board will soon be a staple in your kitchen and makes a perfect gift! Available in other woods. We've hand selected each piece and finished it with Mineral oil for a durable, yet beautiful sheen. Our Sushi Board is perfect as a lovely cheese and cracker serving board, sushi board, serving platter or just working hard in the kitchen. This board makes the perfect hostess gift, housewarming, bridal, birthday or holiday gift. 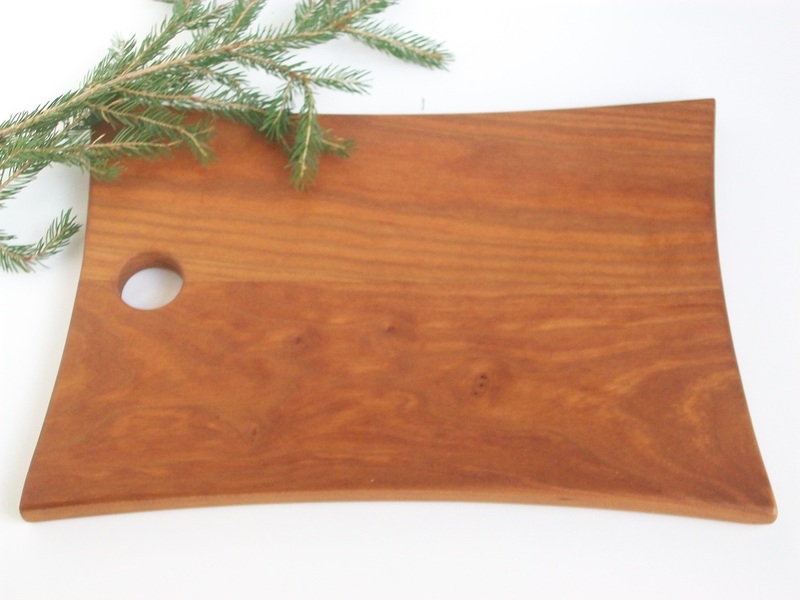 Made from Vermont Cherry and Black Walnut accents, this board will soon be a staple in your kitchen and makes a perfect gift! Our Sushi Board is perfect as a lovely cheese and cracker serving board, sushi board, serving platter or just working hard in the kitchen. This board makes the perfect hostess gift, housewarming, bridal, birthday or holiday gift. 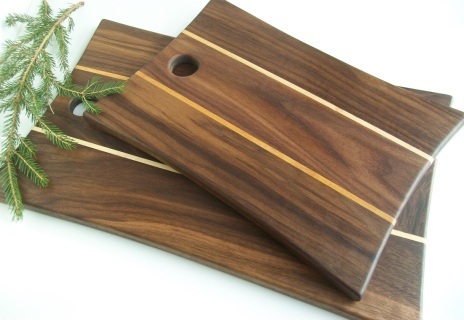 Made from Vermont Maple and Black Walnut accents, this board will soon be a staple in your kitchen and makes a perfect gift! Whether your giving it as a wedding or Christmas gift or keeping it for yourself, our Newberry Board is a perfect addition to any kitchen. This board is beautiful to look at, but don't be fooled...it's all business in the kitchen. Go ahead and use it...chop away! Just like all our cutting boards, these are meant to be put to work. 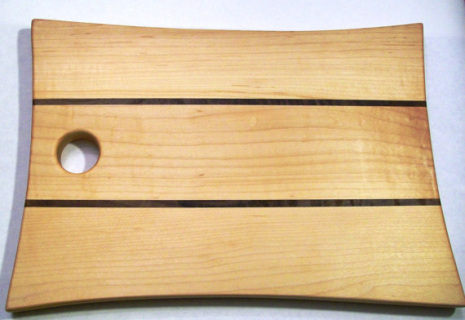 Use as a bread board, cheese platter or cutting board. Available in other woods. We've hand selected each piece and finished it with Mineral oil for a durable, yet beautiful sheen. Handwash and dry. Here's our Newberry Board in a larger size. Just perfect as a lovely cheese and cracker serving board or just working hard in the kitchen. 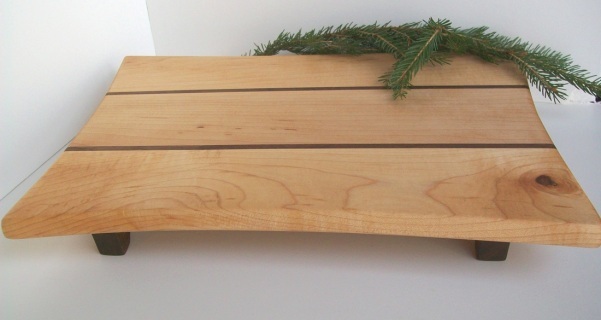 This cutting board makes the perfect house warming, wedding, birthday or holiday gift. 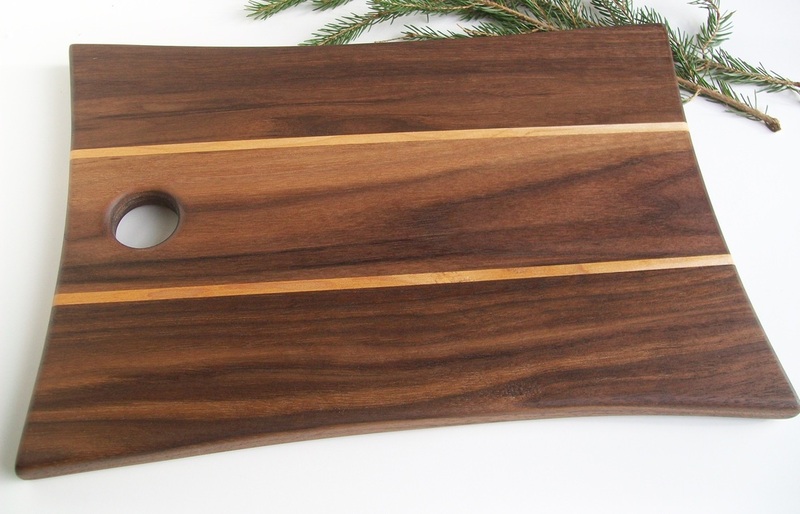 Made from local Black Walnut with Vermont Maple accents, this board will soon be a staple in your kitchen and makes a perfect gift! 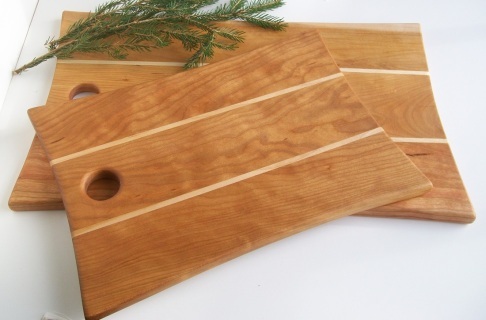 Locally harvested Vermont Cherry makes this cutting board a perfect choice! For any kind of gift, this cutting board does the job....and it's a great addition to any kitchen! Hand wash and dry. 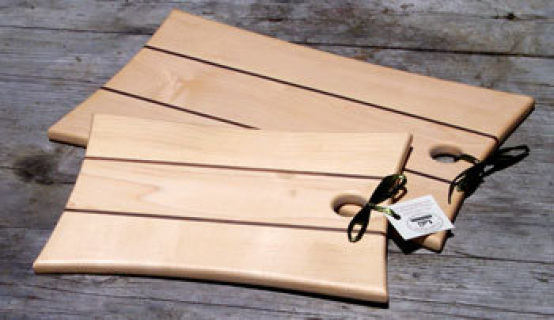 Locally harvested Vermont Cherry and Vermont Maple make this cutting board a perfect choice! For any kind of gift, this cutting board does the job....and it's a great addition to any kitchen! Available in other woods. We've hand selected each piece and finished it with Mineral oil for a durable, yet beautiful sheen. Hand wash and dry. Here's our Large Newberry Board in a Vermont Cherry with Vermont Maple. 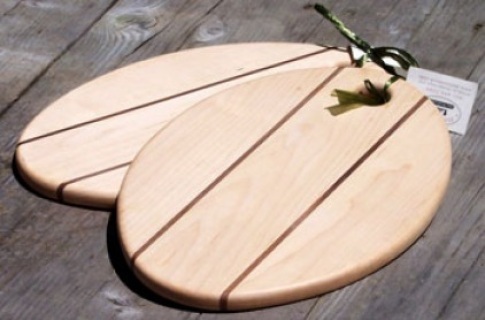 Just perfect as a lovely cheese and cracker serving board or just working hard in the kitchen. 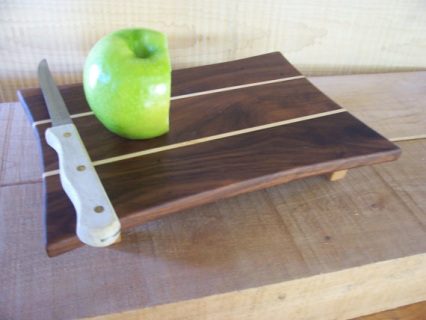 This cutting board makes the perfect housewarming,wedding, birthday or holiday gift. This board will soon be a staple in your kitchen and makes a perfect gift! Here's our Newberry Board in a larger size. 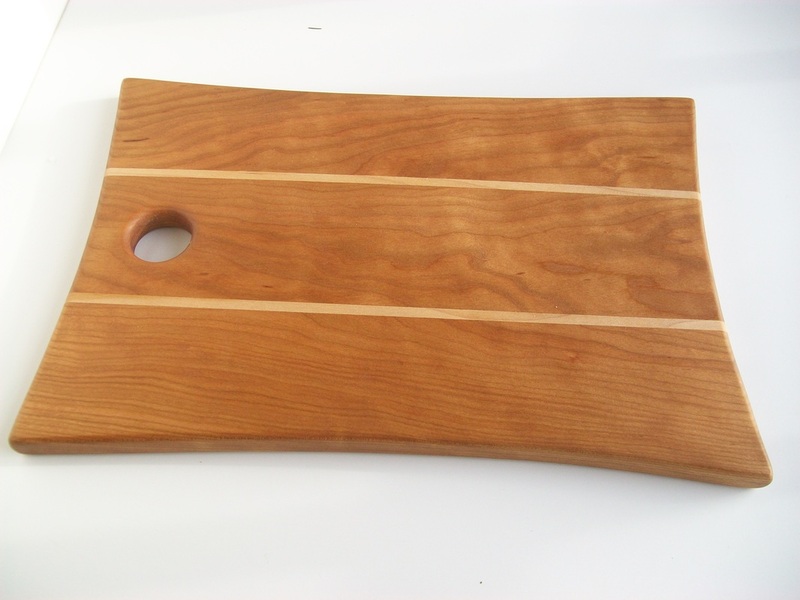 Just perfect as a lovely cheese and cracker serving board or just working hard in the kitchen. This cutting board makes the perfect housewarming,wedding, birthday or holiday gift. 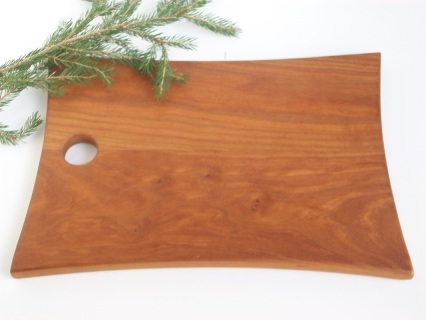 Made from local Vermont Cherry with Vermont Maple accents, this board will soon be a staple in your kitchen and makes a perfect gift! Hand wash and dry. 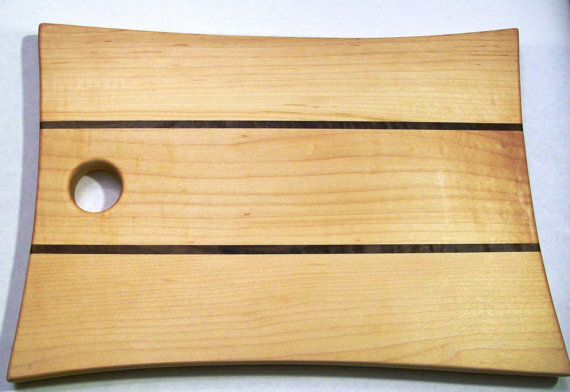 Our Oval Bread Board in a Vermont Maple with Black Walnut accents. Just perfect as a lovely cheese and cracker serving board or just working hard in the kitchen. 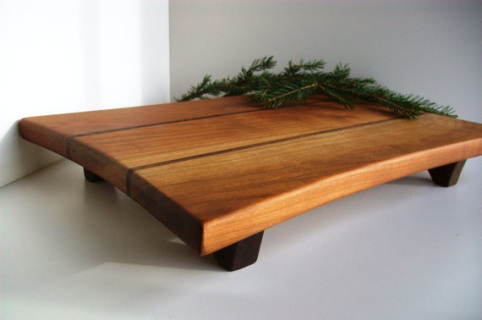 This cutting board makes the perfect house warming, wedding, birthday or holiday gift. This board will soon be a staple in your kitchen and makes a perfect gift!